Happy Tuesday, friends! It's publishing day! 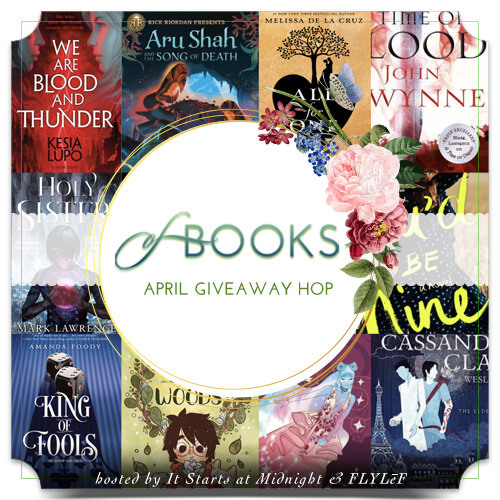 There are a ton of new YA books hitting the shelves today. 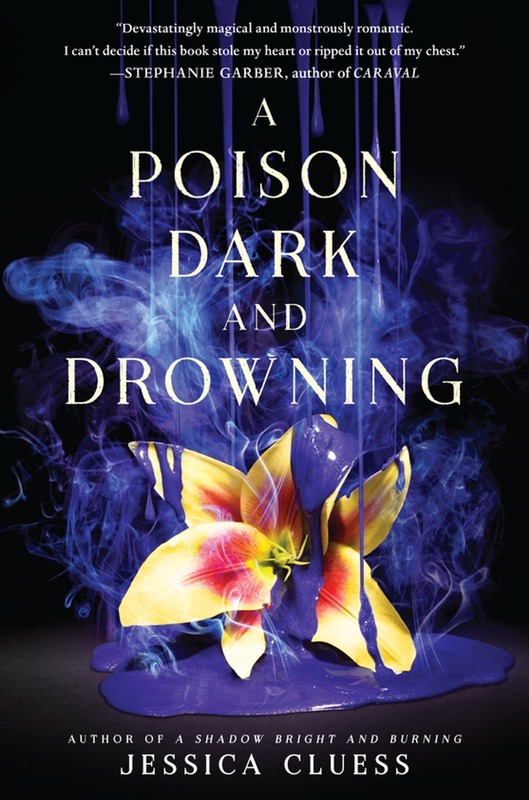 I'm going to be talking about a YA book that will be publishing one week from today - A Poison Dark and Drowning, sequel to A Shadow Bright and Burning! 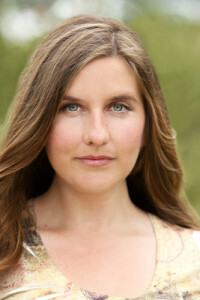 I've got Jessica Cluess here, and I'm so excited to share this interview with you all. Be sure to check out the book below! Alyssa: Hi Jessica! Welcome back to The Eater of Books! I’m so happy to have you here for a second time. Like last year, I’ll start with cover talk! 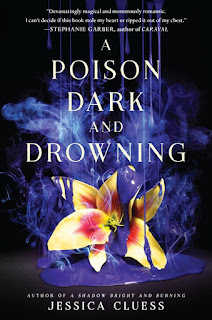 What was your reaction to seeing the cover of A Poison Dark and Drowning? Jessica: My eyes popped out, I fell down, and I rolled across the floor. It sounds like a cartoon reaction, which it was. It was also the truth. I was in love from the first second I saw it. It continues the tradition of terrible things being done to beautiful flowers, which is a tradition I want to keep alive. Alyssa: Pitch the series to readers! 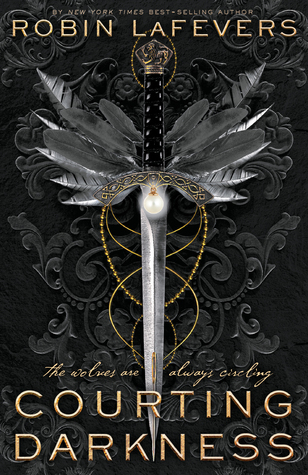 For fans of ____; if you liked____ try the Kingdom on Fire series; ____ meets ____, etc. 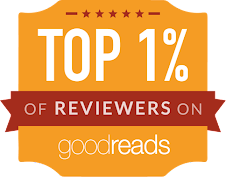 Jessica: For fans of Jonathan Strange and Mr. Norrell; if you liked the Jane Austen meets Lord of the Rings vibe, try the Kingdom on Fire series. Alyssa: Do you have a favorite deleted/cut scene from A Poison Dark and Drowning that you can share or describe to us (as spoiler-free as possible!)? Or from A Shadow Bright and Burning! Jessica: From ASBAB, there was a scene where Henrietta met with a doctor who was very concerned about her fighting monsters. Doctors in the Victorian era believed that a woman’s ovaries floated around inside her body like a balloon, so I had this well-meaning physician talking to Henrietta about how fighting monsters would interfere with baby making later on. It was delightfully cringey, and Henrietta kindly put him in his place. Alyssa: How was writing A Poison Dark and Drowning different compared to writing A Shadow Bright and Burning? Jessica: ASBAB came out with its skeleton intact, meaning that the structure never changed. I added or refined information and characters, but the essential beats of the story came out precisely as they were meant to. APDAD was a long, bloody struggle. I wrote a whole book that had to be chucked out, and wrote another hundred thousand words that had to go in the trash as well. When I finally had the book, it felt even better than when I finished ASBAB. APDAD proved that I could write a book on deadline and without white hot inspiration at all stages. In fact, I think the sequel is better than the first book, and that’s a huge relief. Alyssa: Who was your favorite character to write, in this sequel? Jessica: I love Henrietta’s journey. She’s deeply flawed, and never more so than in APDAD, but she’s also courageous and loving. As for new characters, though, I loved writing Maria. In a way, she’s the opposite of Henrietta. She’s utterly herself, and is comfortable in her own skin. That’s not to say she doesn’t have her share of secrets, though. Alyssa: What is one message that you’d like readers to take away from this book? Jessica: Tell the truth. The lie will come out eventually, so it’s better to live with honesty. Jessica: Something terrible will happen to a beautiful flower. Also, there will be character deaths. Jessica: Thank you for having me! Jessica Cluess is a writer, a graduate of Northwestern University, and an unapologetic nerd. After college, she moved to Los Angeles, where she served coffee to the rich and famous while working on her first novel. When she’s not writing books, she’s an instructor at Writopia Lab, helping kids and teens tell their own stories. Still, she must play the role in order to keep herself and Rook, her best friend and childhood love, safe. But can she truly save him? The poison in Rook’s system is transforming him as he begins to master dark powers of his own. So when Henrietta finds a clue to the Ancients’ past that could turn the tide of the war, she persuades Blackwood, the mysterious Earl of Sorrow-Fell, to travel up the coast to seek out new weapons. And Magnus, the brave, reckless flirt who wants to win back her favor, is assigned to their mission. Together, they will face monsters, meet powerful new allies, and discover that some old wounds are still full of poison. 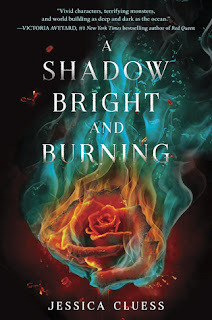 Readers: have you read A Shadow Bright and Burning? Have you read any Jane-Austen-esque YA novels recently? What's your favorite YA fantasy trilogy? I have not read any of this series but the cover are gorgeous and I like the sounds of them! What a great interview! I adore Jessica and I'm so excited for A Poison Dark and Drowning! I haven't read this series, but it's definitely on my TBR list! I love flowers in general so the covers really pop out to me. Also, I agree with Jessica's message about telling the truth - it is bound to come out eventually so you might as well start with it. Great interview, Alyssa! I don't think I've read any Jane-Austen-esque YA novels (unless my memory is fooling me again xD) but I'd really love to read some. A Shadow Bright and Burning has been on my reading list FOREVER. I'm a huge sucker for anything Jane Austen related so that grabbed my attention right away. I will have to be adding these to my TBR. The covers are really beautiful too. Great interview too! Thanks for sharing, Alyssa!